Beautifully maintained first floor end unit condo with views of wooded valley and pond below. 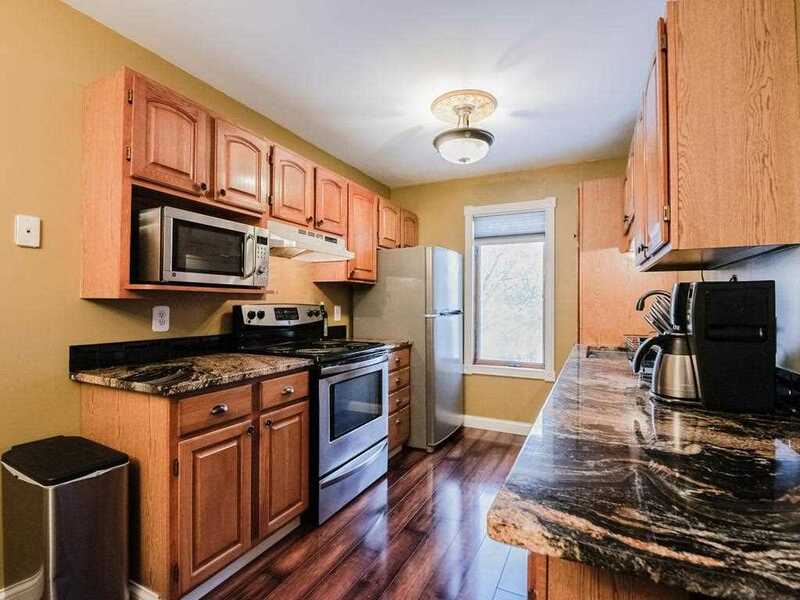 Upgraded kitchen with stainless steel appliances, granite counter tops and views to the wooded area. Charming dinette with chandelier provides ample space for table and chairs. Additional seating at the kitchen breakfast bar. Master bedroom has a private 3/4 bath and huge walk in closet. Laundry room provides additional storage space. Spacious entry! Conveniently located! Directions:Cahill to Buckley to Buckley Way West to Buckley Circle. SchoolsClick map icons below to view information for schools near 6701 Buckley Circle #401 Inver Grove Heights, MN 55076. MLS # 5134152: This property at 6701 Buckley Circle #401, Inver Grove Heights, MN 55076 is located in the Buckley Place subdivision and is listed for $142,000. MLS # 5134152 has been on the market for 70 days.